Economics of Responsible Shale Development. Joy M. Ruff, AICP, Outreach Manager, Marcellus Shale Coalition. Pennsylvania and the Need for the Entrepreneurial Approach by Business and Industry. Carolyn Boser Newhouse, Deputy Secretary, Office of Innovation and Investment, PA Department of Community and Economic Development. DEP, CNG Vehicle Grant Program. Erin Wells, Local Government Liaison for the Pennsylvania Department of Environmental Protection. Industry Perspective – Where Are We Headed? Gerad M. Freeman, National Fuel, Associate Energy Consultant. 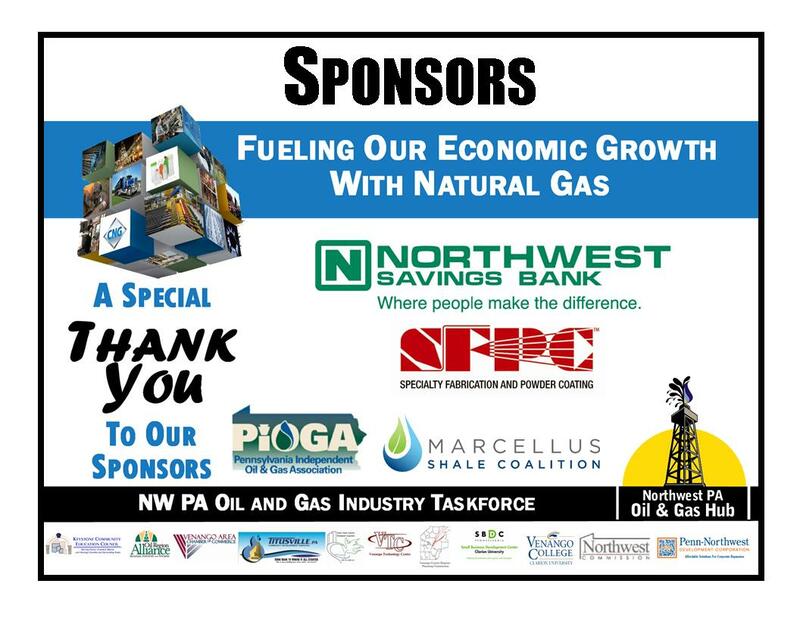 Western Pennsylvania’s Connection to Natural Gas Fueling What is the Potential and Future for LNG and CNG? William E Freeman, Energy Consultant. Taking the Right Financial Steps: Dearald (Bud) Shuffstall, Oil, Gas and Mineral Division Northwest Savings Bank. Speaker- John Canterberry, Project Executive – Energy Division, Walsh Group – Knowing the Culture and the structure of the Oil and Gas Industry. Natural gas utilization – isn’t it time for a change? Speaker Robert Garland, Senior Technical Advisor Universal Well Services – How our sources of energy and how we do things will change with the abundance of Natural Gas in our region. How can you/your company benefit from the influx of Natural Gas in Our Region? – Decrease your Overhead! Speaker: Geoff Bristow, Regional Manager of PA Department of Environmental Protection’s Office of Pollution Prevention and Energy Assistance in Meadville. Mr Bristow has over 15 years of experience working in the state’s energy office where his main role has been the development and implementation of technical assistance, energy education, and grant programs focusing on efficiency, conservation and alternative energy approaches. Put your Business Ahead of the Competition! Doing Business with the PA DEP by S. Craig Lobins, P.G.